Some girls would kill to be known as the most beautiful. 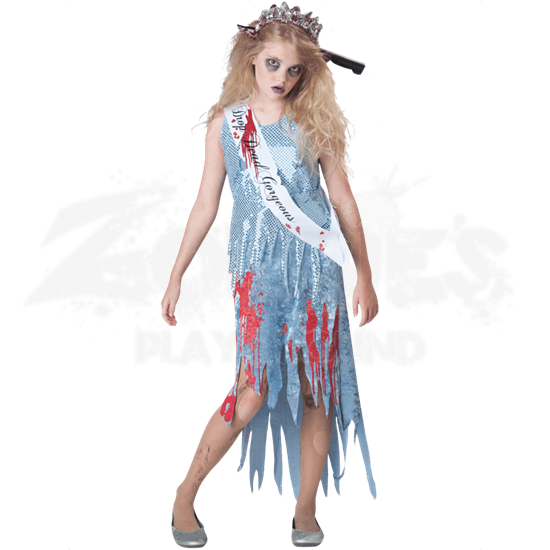 When you wear the Tween Homecoming Horror Costume, you will take the phrase Drop Dead Gorgeous to a whole other level of macabre humor. 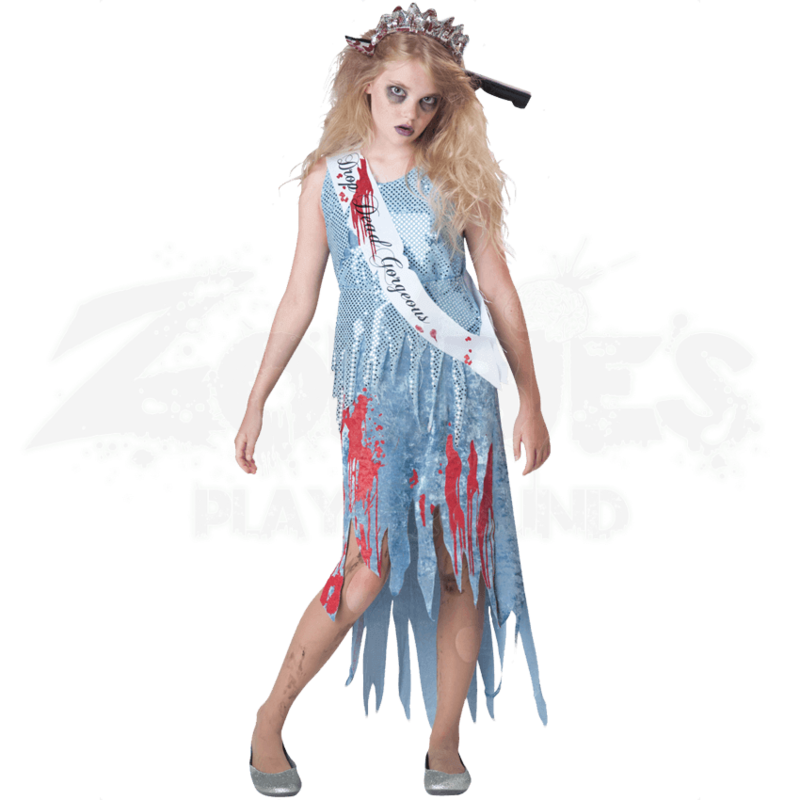 This pale blue beauty pageant dress shimmers in the light, showcasing its bloody markings. Marking the gruesome Homecoming Queen as the winner, the shoulder sash bears the words DROP DEAD GORGEOUS in elegant script. The bloody tiara, supporting a prop knife, adds the final touch to this nightmarish ensemble. The Tween Homecoming Horror Costume makes an excellent choice for Halloween!